Calendriers Alexandre, a printer and publisher of high quality calendars and wall planners for both the French national and global markets, has invested in a Jet Press 720 to diversify its business offering. Founded 27 years ago, Calendriers Alexandre produces the largest range of wall planners and multi-page calendars on the French market. Based in Le Mans in France, the company employs 11 people and has a turnover of €3.6M. 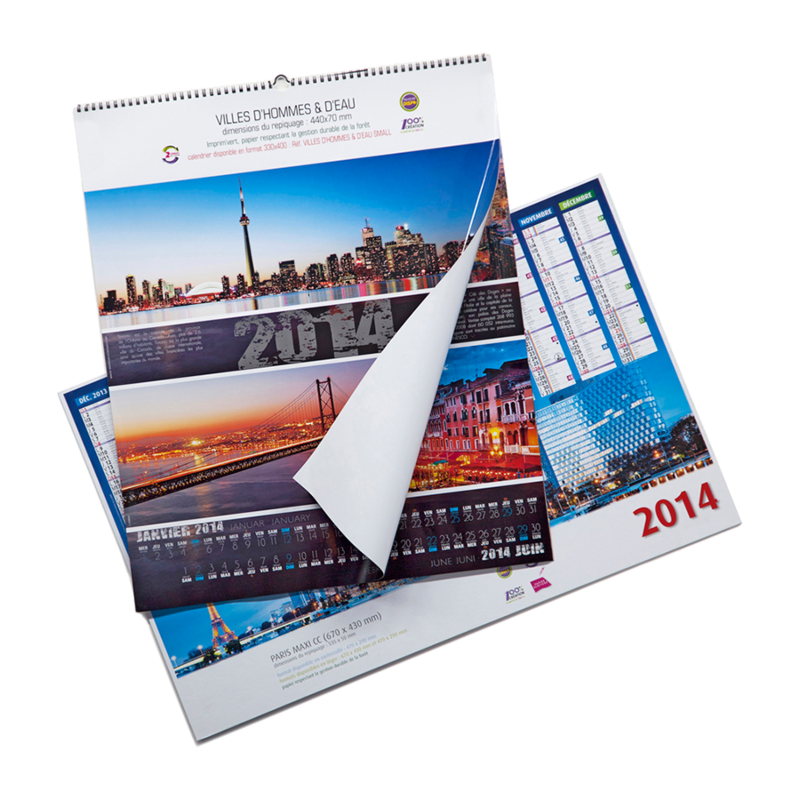 It is able to handle a high volume and incredible variety of jobs, printing the smaller calendars digitally and larger ones, to date, with offset. “We are always on the lookout for that special technique which will allow us to remain a leading supplier for calendars in France,” comments Mr. Bourné. Christophe Bourné adds: “We’ve been so impressed with the quality of the finished product that we are eager to explore new markets and potential new partnerships using digital print as soon as possible, and will be increasing our communications effort to achieve this,” he concludes.